Even though this story was made for kids I totally enjoyed the listen, whether I was in the kitchen, in my car or working on my computer. The readers performance was flawless and well done. 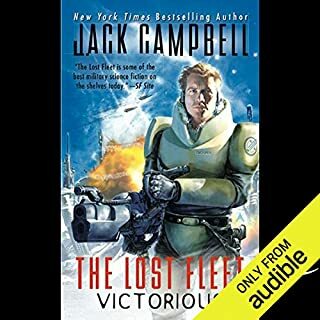 Would you listen to The Lost Fleet: Victorious again? Why? Definitely, I liked the story line and the characters. The reader did an awesome job of separating the characters throughout the story. Just about every moment of the book had me fully attentive. I really would love to know how things turned out after Black Jack and his wife Tanya Desjani get back to their home-world. 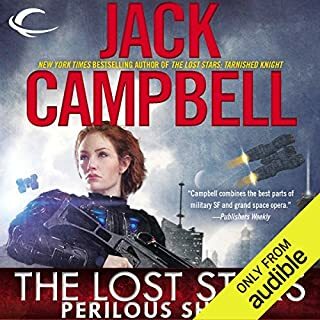 Love christian Rummel's narration and separation of characters, absolutely nothing wrong there but Jack I really like your writing but you do not have an easy voice to listen to and the explanation of the whys and how of the story would have done better if your narrator had read it instead. I am glad you stopped your narration in the last 3 books of this series because to be honest I was fast forwarding the 2 1/2 minutes you usually spoke to get to the book itself. It all sounds plausible in the Science Fiction sort of way and I know that Jack brought in Midway as one of his memories of being in the Navy - funny thing is that my dad served in the Navy on Midway Island during the same time period as Jack Campbell. 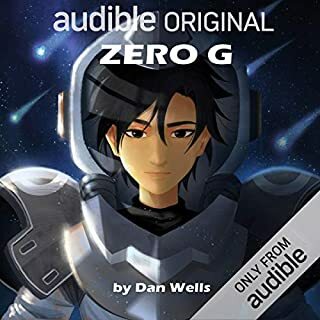 I want more, the ending was left wide open for more to come but please have Christian Rummel narrate because he is a great asset to the series and he brings the story alive. Following a successful coup, the leaders of the rebel Midway Star System struggle to forge a government free enough to please its citizens yet strong enough to secure power. But in a world where former rulers have become new foes, an alien threat to humanity may turn old adversaries into uncertain allies. General Artur Drakon knows three words describe someone who confides in a Syndicate CEO: Stupid. Betrayed. Dead. Despite his misgivings, he partnered with another former CEO to overthrow Syndic forces. If you could sum up Perilous Shield: The Lost Stars, Book 2 in three words, what would they be? Did Marc Vietor do a good job differentiating all the characters? How? I'm thinking not if the reader is the same as the last story on this set of discs. Has More Than Honor turned you off from other books in this genre? I really liked the first story about the 11 year old girl and the "tree cat", I really wanted to hear more. 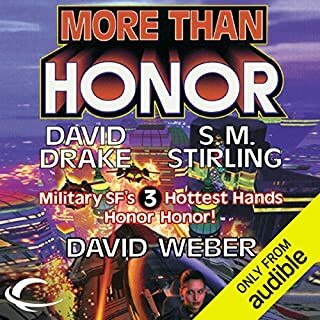 Was More Than Honor worth the listening time? Up to the last story which I just fast forwarded through to find something interesting, the reader didn't help there either. He has a very irritating voice. I'm going to try books 2 and 3 since I have already purchased them and I sure hope it gets better. 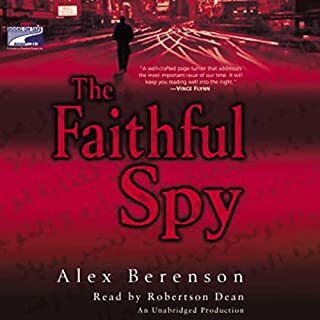 My job commute was never so enthralling as I listened to The Faithful Spy. John is a strong and believable character due to the excellent reading by Robertson Dean. Mr. Dean brought the story alive and Alex Berenson can surely put together an intriguing spin on the current machinations of the Taliban and their minions. Thank you for the ride of a lifetime on my car stereo, you made traffic just disappear from my mind. Awesome job to both writer and reader! !